Fuel service stations are getting the normal supplies of a combined eight million litres daily but panic buying by motorists in anticipation of price increases and the festive season has resulted in long queues at service stations in most cities and towns, a Cabinet minister has said. In an interview yesterday, Energy and Power Development Minister Joram Gumbo indicated that there were enough fuel stocks at Msasa fuel depot and there was no need for motorists to panic. "There is an unprecedented demand of fuel in the country," he said. "What baffles me is fuel companies are getting the normal supplies but queues are not disappearing. The queues are, however, evidence that there is indeed fuel in the country. "We require 4,1 million litres of diesel per day and 3,8 million litres of petrol a day and that is what the fuel companies are getting. We had asked the Reserve Bank of Zimbabwe to raise foreign currency allocation to $32 million per week to meet the rising demand up from the $20 million it was previously allocating, but access to forex has been a challenge." 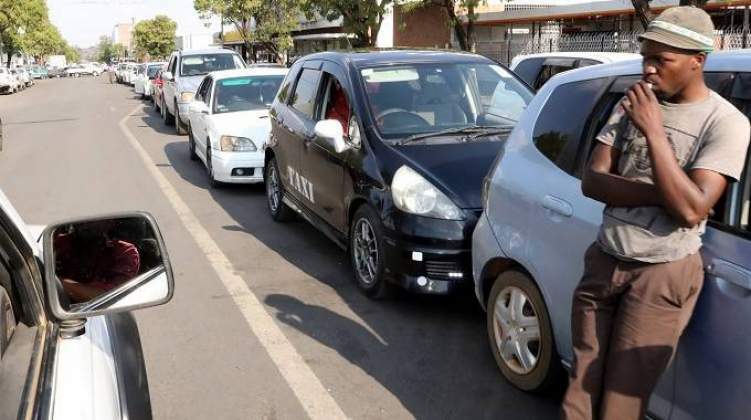 Yesterday long winding queues could be seen at filling stations in most cities and towns including Bulawayo and Harare. Some fuel service stations were without fuel while others had resorted to rationing. The situation is expected to ease after Government released $60 million on Friday towards procurement of fuel to mitigate current shortages. The country is constrained in terms of foreign currency while there are many competing demands on the available foreign currency. Government has several structures in place and is working with fuel suppliers such as Sakunda Holdings, Independent Petroleum Group (IPG), Glencore, Engen and Total.